From branch-sensing technology and drones to supporting refugees, the urban gleaning movement is ripe with innovation. America’s 42 million home and community gardeners grow an estimated 11 billion pounds more food than they can use. Meanwhile, 87 percent of Americans are not eating enough fruits and vegetables. The good news is the movement of people who harvest that excess home-grown food, known as urban gleaning, has matured over the past decade or so from a weekend hobby for locavores to a growing sector of the food economy. In recent years, dozens of private and public groups around the U.S. have gotten organized around getting this extra food onto people’s tables. At the recent Gleaning Symposium, hosted by the Green Urban Lunchbox in April in Salt Lake City, today’s urban gleaning renaissance was on full display. 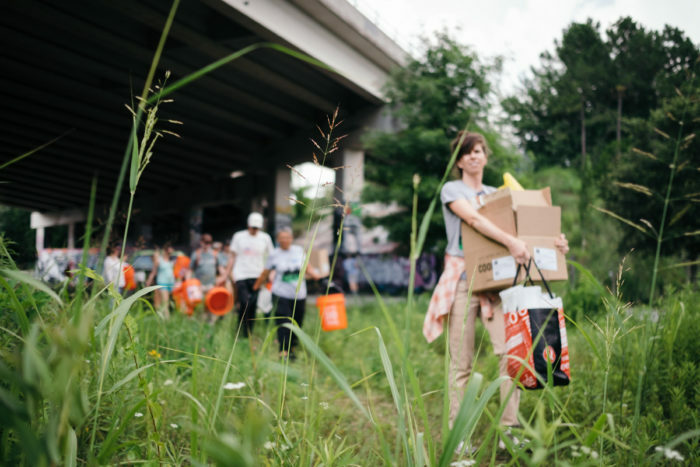 More than 10 organizations from places as far flung as Atlanta, Philadelphia, and Tucson spent two days sharing information, strategy, and stories about building the urban gleaning movement around the U.S. Among the participants were volunteer computer scientists from Boulder, Colorado, who have created an online map that’s logged 1.2 million of the world’s edible (and gleanable) plants; a couple of guys from Atlanta who turned their old-fashioned southern music jamboree cider fest into a gleaning organization; and a Salt Lake City organization that transformed a 35-foot school bus into an educational greenhouse and gleaning organization. It was clear from these innovations and more that gleaning organizations have come a long way in recent years. There is a similar story being told in Utah. 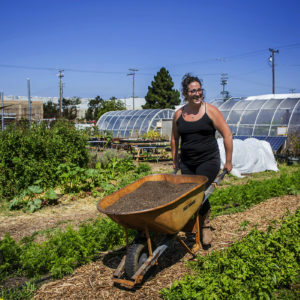 “A lot of homes in Salt Lake City sit on quarter-acre lots and the city was built around this idea that you would grow your own food,” said Shawn Peterson, founder and executive director of the Green Urban Lunchbox. Peterson finds that many Salt Lake City homeowners can’t pay for the services to maintain their trees. 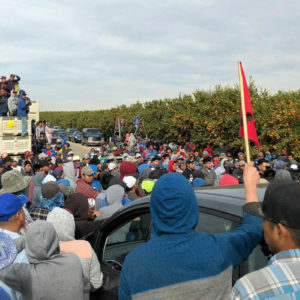 So, in addition to gleaning, his organization also offers pruning, pest control, and fertilization services for fruit trees after the harvest season is over. The group has serviced and gleaned fruit from 2,500 trees over the last few years, but Peterson estimates there are 47,000 more out there. Technology is increasingly connecting urban gleaning organizations to their communities in diverse ways. For example, Salesforce supports nonprofits in tracking volunteer statistics, pounds gleaned, donor contact information, and more, free of charge, making it much easier to run an organized gleaning operation than ever before. 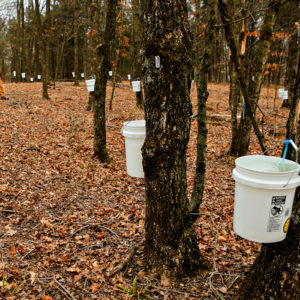 Concrete Jungle’s Durkin partnered with Georgia Tech University to create tree-tracking software called FoodParent, which they offer for free to the community. The FoodParent maps also keep track of the seasons in which trees in the 500-square mile Atlanta area are ripe and ready to glean. Durkin has also tested tree-surveying drones, “branch bending” sensors that can tell when trees are heavy with ripe fruit, and a branch-affixed device that photographs the trees (and fruit) and tweets out the pictures. In a world over-saturated with processed food, the Jamie Oliver quote, “Real food doesn’t have ingredients, real food is ingredients,” hits the right mark. For this reason, empowering under-resourced (and unaware) folks to pick their own food—rather than requiring a team of volunteer gleaners—is a big part of the equation. 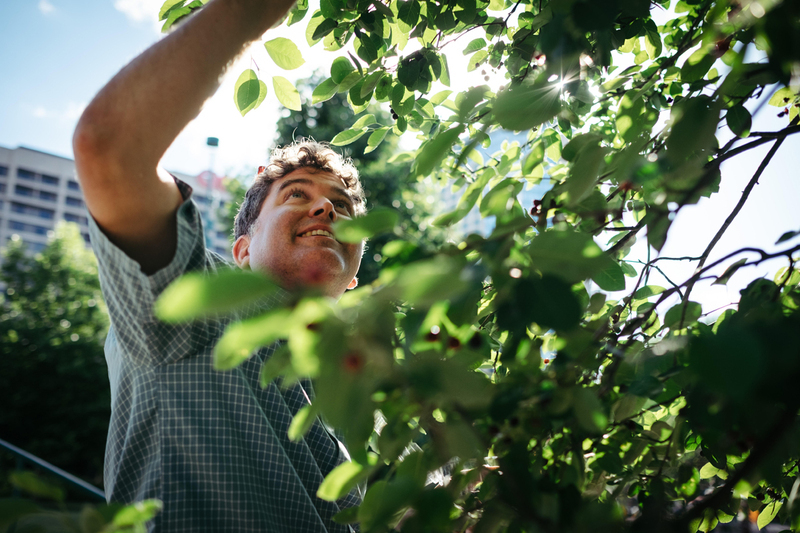 Because much of that soon-to-be-wasted fruit grows in others’ yards, questions about how to glean without trespassing are regular aspect of the movement. Robyn Mello, orchard director of the Philly Orchards Project, echoed that sentiment. “People just haven’t been told they can harvest these trees that are everywhere,” she said. With 1,100 trees planted over the last 10 years in 57 community public spaces, Philly Orchards bridges that gap, re-connecting the community to food growing all around them. “My vision is that somewhere in the future we are no longer necessary—and we get people harvesting all these trees on their own,” Mello said. Photos courtesy of Dessa Lohrey. We provide every individual the opportunity to share their abundance by connecting them with their community. They can harvest their produce or connect with a local person who will harvest it for them. We provide a tool for every local community to organise themselves to ensure all produce is not waste but shared. Connect with another person to share in your abundance.